On the Sun Island there are no cars and walks can take up to an hour, climbing steep slopes to get to hotels and attractions. Passengers who cannot or do not wan to walk can take boat rides. We suggest you carry as little luggage as possible with you. From Puno you will head toward the Per/Bolivia border at Kasani. After crossing the border, we will transport you to Copacabana town where you will board a boat to the sacred Sun Island (Isla del Sol). On the way, you will be able to see views of the spectacular Cordillera Real mountain range. 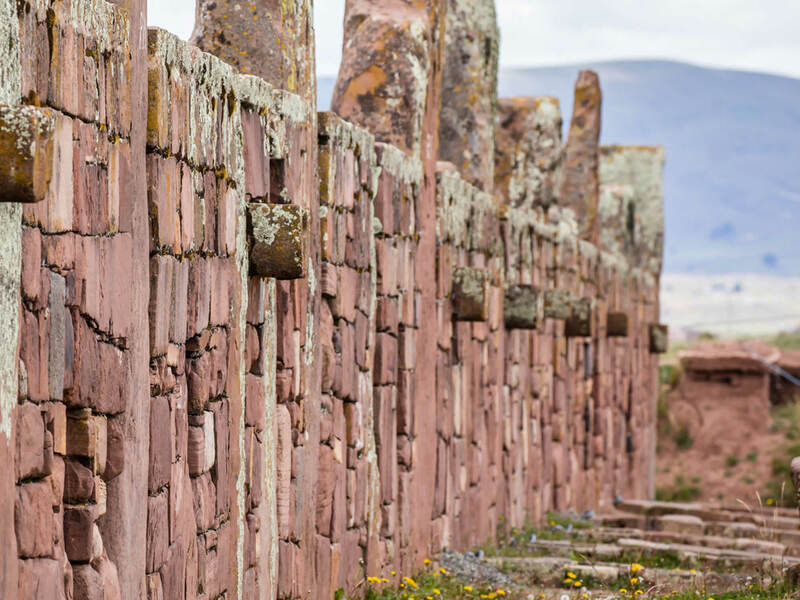 You will have lunch on the Sun Island and visit the ancient Pilkokaina ruins that were built by the tiwanacotas and extended by the Incas. After a short walk on the island, you will arrive at the Stairs of the Inca, the gardens and the 'three waters' fountain. Reutning to Copacabana, you will visit the Basilica and see the paintings of the story of Tito Yupanqui, the sculptor of the 'Virgin of Copacabana'. Afterwards, you will leave for La Paz city.